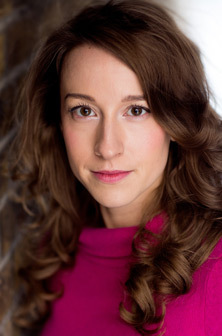 A City alumna has landed a role in the hit West End musical The Phantom of the Opera. Hettie Hobbs, who graduated with a BMus in 2014, is among a number of new cast members who have joined the production as it heads towards its 30th birthday at Her Majesty’s Theatre, London. In a job known in the industry as a swing, she will be responsible for covering a number of different ensemble roles in the production. After finishing her studies at City, Hettie went on to Mountview Academy of Theatre Arts where she achieved a Distinction for her Masters in Musical Theatre Performance. She then had a packed year, touring with the 16 Singers project and performing in Thoroughly Modern Millie at the Adelphi Theatre, Sweeney Todd at The Frogmore Paper Mill and an array of shows with the Brick Lane Music Hall company. The performer says her three years at City helped her to develop her skills as a musician and she was able to focus on her chosen genre of musical theatre. A major benefit for Hettie at City was her individual performance tuition. "I had a truly fantastic teacher who really tailored our lessons to my needs, developed me and supported my decision to focus on musical theatre,” she said. Hettie’s role in The Phantom of the Opera will see her step into multiple roles at a moment's notice. The production is now taking bookings through to March 2017. The singer said City was not only influential in helping her take the first steps in her career, but gave her the opportunity to become captain of the women’s hockey team. “Within the department I was taught by some inspirational lecturers and again supported in every decision I made towards progressing my career in performance,” she said. “Also, I found the sports department at City very supportive and it was a privilege to be the captain of the girls’ hockey team.